Hetman Sahaidachny (left), TCG Salihreis (middle) Balta (right) in Istanbul. TCG Salihreis (left) and Hetman Sahaidachny (right) in Istanbul. Photo: Deniz Yaman. 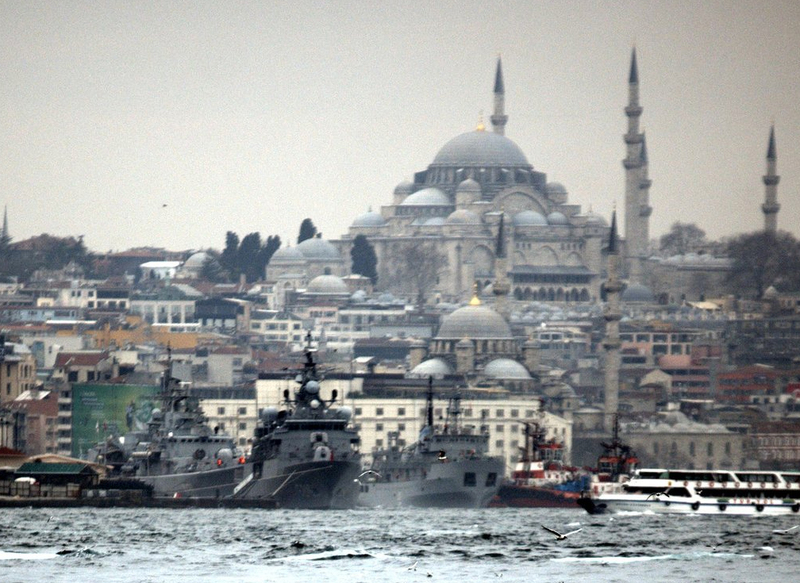 Ukrainian warships Hetman Sahaidachny and Balta made a short port visit to Istanbul today. Both ships passed through Istanbul Strait on 7th March 2016 and sailed to main Turkish Navy base in Gölcük, Kocaeli. There the ships have conducted joint exercises with Turkish warships. 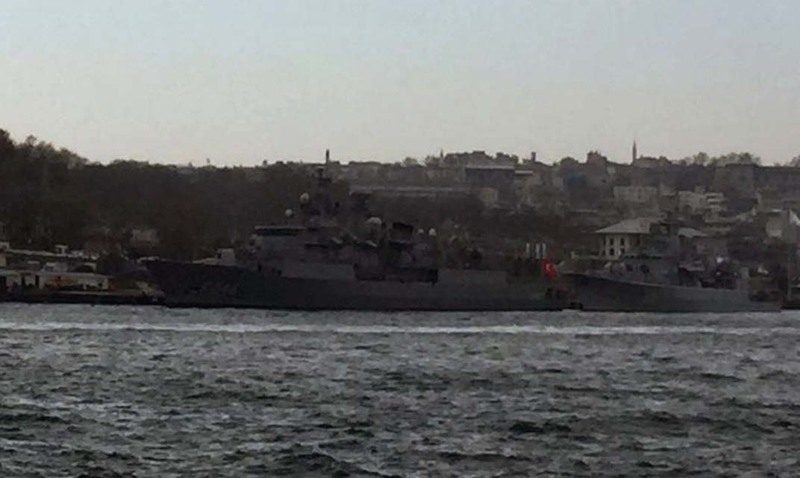 The frigate Hetman Sahaidachny and the degaussing ship Balta arrived on the morning of 10th March 2016 accompanied by Turkish frigate TCG Salihreis to Istanbul. Balta left for Ukraine in a few hours later whereas the frigate stayed longer. The Ukrainian President Petro Poroshenko who is in Turkey for an official visit, visited the frigate. President Petro Poroshenko visited flagship of the Ukrainian Naval Forces Hetman Sahaidachny frigate that takes part in the common training with the Naval Forces of Turkey in the Sea of Marmara. Commander of the sea campaign Dmytro Hlukhov and commander of the frigate Denys Ivanin demonstrated the equipment and mobile military hospital provided by the Turkish side. Ukraine will receive 5 such hospitals. They will be relocated to the sectors of responsibility in the ATO area after the return of Hetman Sahaidachny frigate to Ukraine. The President emphasized that such mobile hospitals were essentially important in the ATO area. He called them the evidence of partnership relations between the two states. “Earlier, we received them from the United States, Canada and Australia. It emphasizes strategic character of our relations,” the Head of State noted. Later in the afternoon, Hetman Sahaidachny departed with two containers on her flight deck to Ukraine.